We are major cat people in my house. I’ll admit there was a day where I would tell you I despised cats, but after we fostered our sweet Charlie, I have never looked back. I saw a coffee mug online that said something like “one cat away from a crazy cat lady. “ I hope to get my hands on that one day, even though I don’t actually drink coffee. 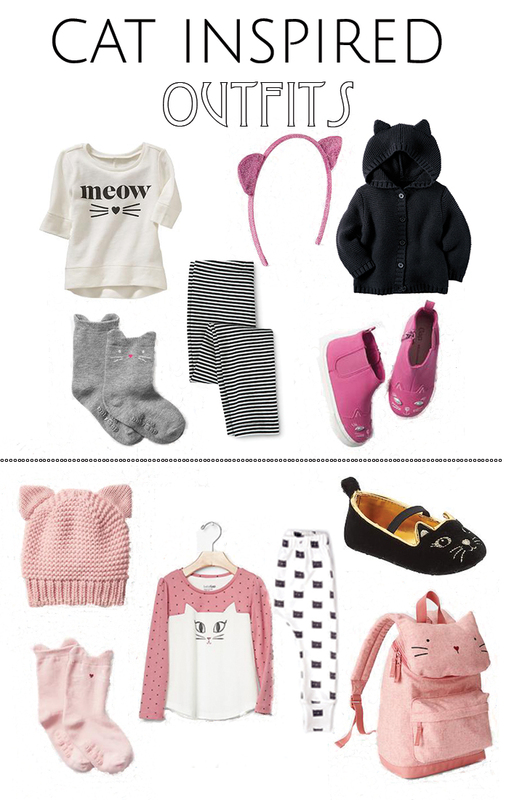 With that said, I have found some seriously adorable cat outfits for Harlow to wear this Fall & Winter. I have already bought some of this stuff, but am hoping to add more to my collection with all of the Gap and Old Navy cash I have accumulated lately. I think I might even go as far as dressing Harlow up as a cat for Halloween. I’ve seen a really cute and easy DIY tutorial on Pinterest that I might try. Now we just need some cooler weather and we will be set.